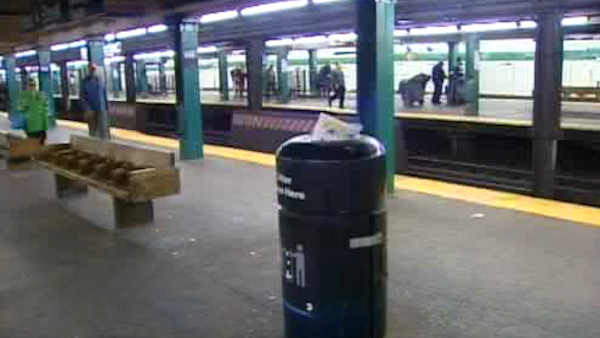 NEW YORK (WABC) -- The MTA has canned its plan to get rid of trash cans on subway platforms. The agency launched a pilot program to ditch the receptacles in 2011. The MTA thought riders would take their garbage with them, reducing the amount of rats in stations. But the state comptroller's office says several audits found litter and trash fires increased. The MTA ended the pilot project in September 2016 and has put back all the trash cans. The project removed trash cans from 39 stations.